Peerie is perfect for next to the skin wear. 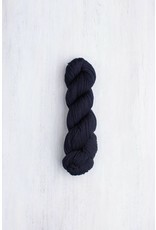 It is Brooklyn Tweed's softest yarn, sourced from Merino that has a micron count measured at 20.5. It has inherent strength due to it's 4-ply worsted spun construction which also invites precise stitch work. 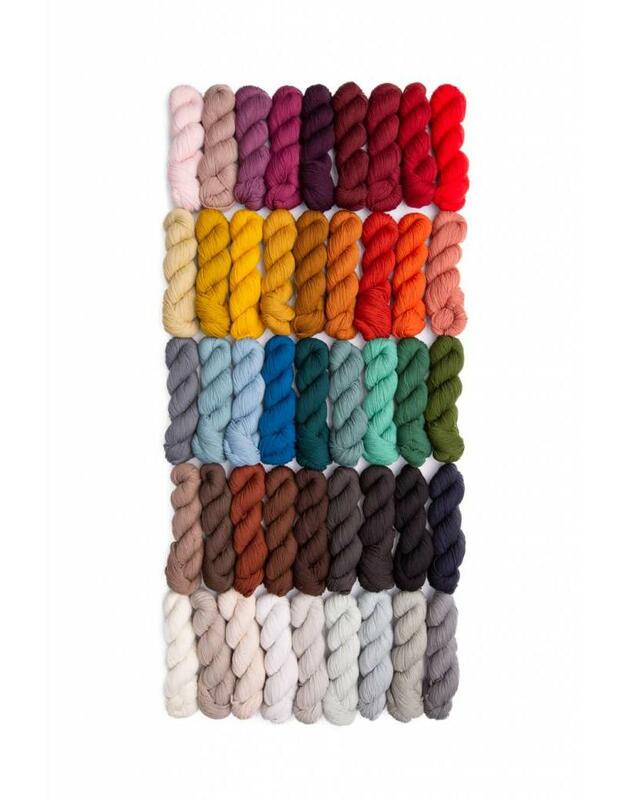 Fabrics knit from Peerie are smooth, supple, and can range in gauge to easily accomodate open-work lace motifs as well as firmer stockinette or textured stitch patterns. 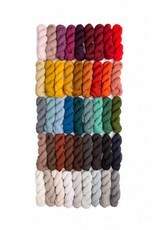 The shades invite colourwork with Peerie's wide range of hues and values.